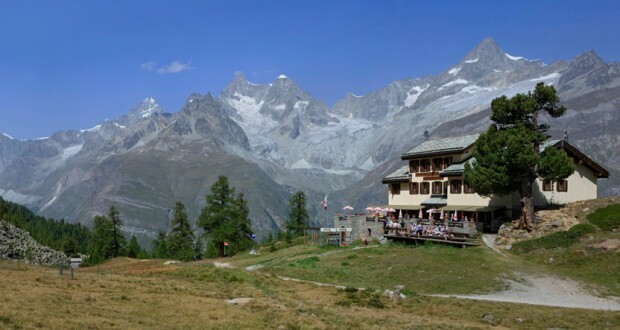 The Berghaus Grünsee is a traditional Swiss mountain inn situated in the middle of a ski and hiking region between Gornergrat and Rothorn at an altitude of 2,316 metres a.s.l. The diverse Alpine flora, the stone pine forest as well as the nearby Grünsee all invite guests to embark on small and large tours of discovery; breathtaking views and wondrously sweet herbal scents are the rewards. Enjoy your holidays in this idyllic setting. Suitable for families, ski groups, sports enthusiasts and guests who simply wish to contemplate the universe.